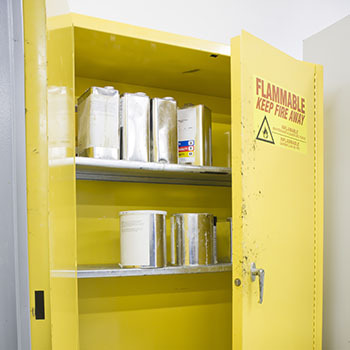 Protecting life and property in chemical environments, including areas where highly flammable or reactive chemicals may be present requires a well thought out fire protection plan that suppresses the fire and possible explosion. 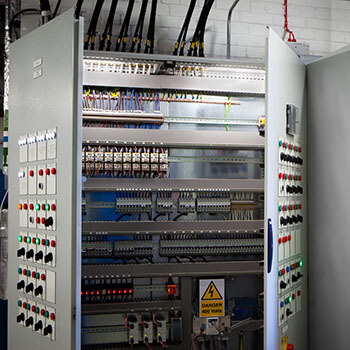 There are many different types of hazards that vary from facility to facility such as processes involving high pressures, high temperatures, high-voltage electrical systems, high noise levels, and toxic byproducts to name a few risk areas. These facilities may contain many different types of chemicals such as flammables, combustibles, acids, caustics, chemical mixtures in different forms like liquid, gas/vapor, and solids. The quantities of materials are also a factor. Fire protection in petrochemical facilities is challenging as most of these facilities are congested. The maze of pipes and other structures provides many obstructions on different levels. Processing equipment is typically in tight quarters. Most petrochemical facilities implement fire protection programs. Even with these safety programs in place, incidents can still happen. The facility managers will respond quickly and be looking for ways to try to protect personnel, limit damage, minimize downtime, save assets, and to protect the environment. Today, fire professionals specify protection that is effective but also meets requirements for space and weight, quality and cost, and low maintenance. These qualities are all found in Stat-X® fire suppression systems. It’s why Stat-X is the best solution for the demanding laboratory environments. Are you ready to handle these emergencies? 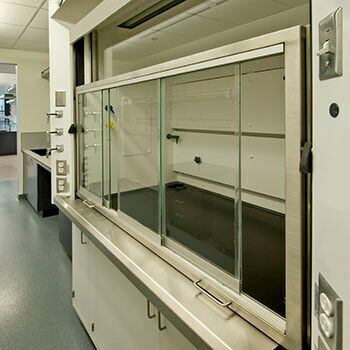 Stat-X aerosol fire suppression is a versatile and cost-effective solution for laboratory fire protection. 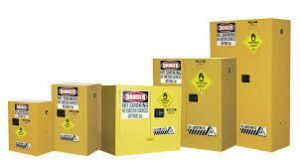 Each sealed, stainless steel generator contains a solid, stable, and specially formulated fire suppression compound unmatched in the industry. When a fire occurs, the Stat-X generator activates, producing and releasing an advanced aerosol fire suppression agent. Agent fills the protected space and chemically interrupts the combustion process. Fire is suppressed, and the micron-sized agent particles remain suspended to help keep the space protected from possible re-flash. Stat-X generators come in a range of compact, rugged, non-pressurized units. Modular design allows configuration by mixing and matching units to protect a variety of spaces, from small to large. Electrically actuated models work with popular linear, aspirating, or spot detection and control systems. 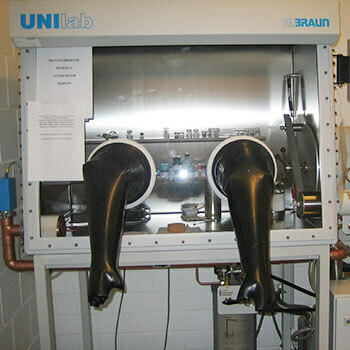 Thermal and manual actuation models require no external power source to operate. Compared to traditional pressurized gas or chemical agent piped systems Stat-X advanced technology is economical to install and own. No special storage space or distribution piping is needed. And since the Stat-X agent is generated only when the system actuates, you don’t have regular agent level inspections or containers to weigh and hydro-test over the years. When discharged, the aerosol agent remains buoyant protecting the space longer. Afterwards, the area can be vented with no harmful by-products generated. Spent Stat-X units are simply replaced, and the system can be restored. Unlike many conventional fire systems, it doesn’t work by depleting oxygen or by releasing ozone-harming chemicals.